This seed is a useful alternative to rice. It is grown high up in the Andes–and no one seems to agree on how to pronounce it! 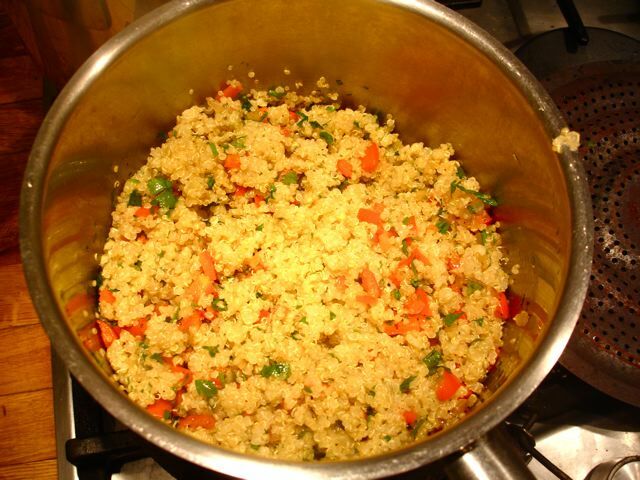 It takes less time to cook than rice and is delicious in its own right or, as below, mixed with sautéed vegetables. It takes well to steamed green vegetables, like broccoli dressed with good olive oil or sprinkled with crunchy nuts such as dry-roasted walnuts. Crumbled feta or goats cheese is good too. 1 pint/2 cups/16floz of vegetable stock–I use organic stock cubes. 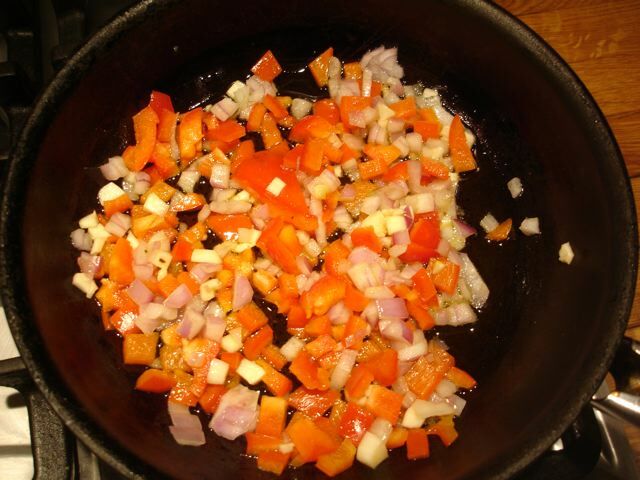 Cook this gently, covered, until you can fluff it up with a big fork–about 15-20 minutes. Add this mix to the cooked quinoa. 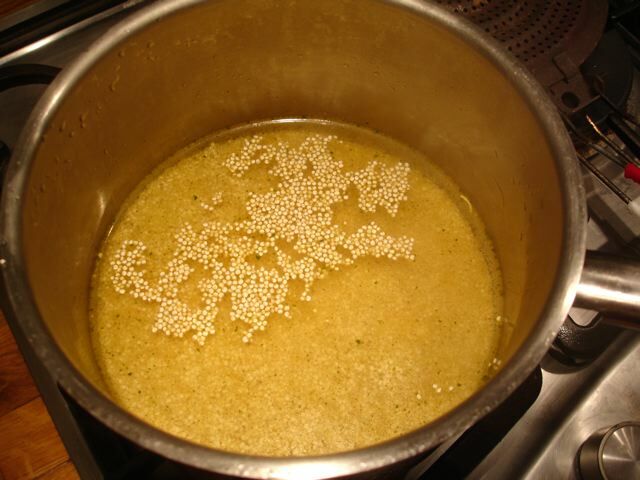 Add salt and pepper to taste–though be careful with salt, as the stock may be salty. If you have some, sprinkle with a tablespoon of chopped parsley. Mix all together carefully and eat it hot or tepid.